The 2018 USA Track and Field Senior Outdoor Championships kick off in at Drake Stadium in Des Moines, Iowa Thursday and run through Sunday. This year is one in a four-year cycle where Team USA berths are not at stake for an Olympic or World Championships team. The Olympics are held every four years, and the World Outdoor Championships are held every two years in odd numbered years, the year after an Olympics and the year before the next Olympics. So while those valuable global championship berths aren’t up for grabs this year, national titles and other USA team berths are on the line. Spots are up for grabs for the three different USA teams that will compete later this summer. The Athletics World Cup is an eight-nation competition held in London this year on July 14 and 15. The meet will contest 15 individual track and field events per gender and two relays per gender, with the longest distance contested the 1500-meters. Each country will get one entry per event. The North America Central America Caribbean (NACAC) Senior Championships will be held in Toronto, Canada, August 10-12. North American, Central American, and the Caribbean, make up the North America Region of the International Association of Athletics Federations (IAAF). The IAAF, (the rest of the world outside of the U.S. uses the term “Athletics” as the name of the sport of track and field), is the international governing body for “Athletics” around the world. The IAAF separates the world into six different regions or “Areas”: North America, South America, Africa, Europe, Asia, and Oceania, https://www.iaaf.org/about-iaaf/structure/member-federations. The NACAC holds senior, Junior, and Under-23 championships in multiple events like Track and Field, Cross Country, Mountain Running, Combined Events, etc. on a varying schedule. The final event athletes will be competing for a Team USA spot this week is the Thorpe Cup. The Thorpe Cup is an annual heptathlon and decathlon competition between USA and Germany, who usually alternate hosting duties. The Thorpe cup usually includes six to seven athletes per gender per county and is scored as a team event. This year’s Thorpe Cup will be held at the University of Arkansas in Fayetteville, July 27-28. University of Central Missouri co-head track and field coach and 2000 USA Olympic Decathlete Kip Janvrin is the Head Men’s Coach for the US Thorpe squad this year. The Thorpe Cup is named in honor of Jim Thorpe, the Native American who is considered one of the greatest athletes of all-time. Thorpe excelled at nearly every sport he tried, including track and field. Thorpe won the 1912 Olympic Decathlon, with a world record score, and the Pentathlon, while also taking fourth in the high jump and seventh in the long jump. Thorpe later played in the NFL. He is an NFL, USA Track and Field, and U.S. Olympic Hall of Famer. 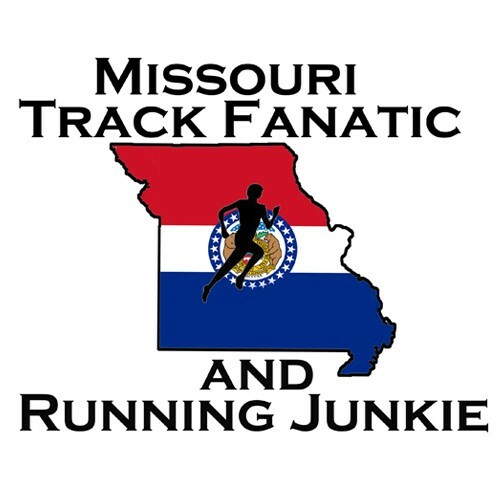 At the moment, it appears 32 athletes with Missouri connections are set to compete in Des Moines.